Ruwac's Immersion Separators meet OSHA and NFPA regulations for combustible dust safety in Class II, Group E environments. They are available in self-contained portable vacuum models or standard wet collectors. 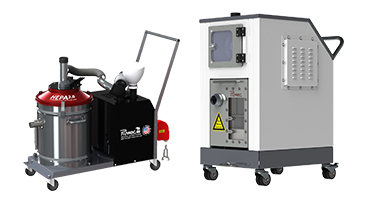 Each system is specially designed for use in work environments where combustible dust, impact sensitive materials, glowing media and other volatile metal dusts are being produced in a space that may contain an ignition source. 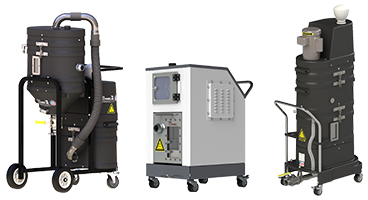 The MX100 and MX200 Series immersion separation vacuums by Ruwac are the most fully mobile and compact wet mixers of their kind for general housekeeping or additive manufacturing. 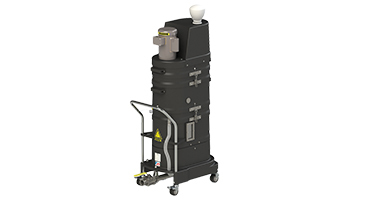 Ruwac's MX300 Series immersion separation vacuums are self-contained systems designed to safely collect conductive metals, explosive or impact sensitive materials, or glowing media. 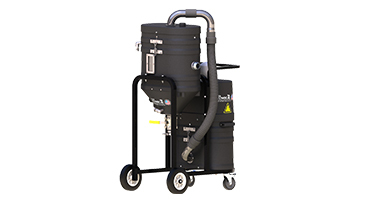 The MX360 Series are Ruwac's premier self-contained immersion separation vacuums that feature a highly portable, easy maintenance, and 12 gallon collection capacity design for the safe collection of conductive metals, explosive or impact sensitive materials, or glowing media. 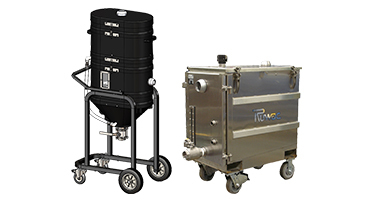 NA250 and NA35 immersion separators by Ruwac are designed to work with any existing central vacuum, and utilize a liquid-based filter system to safely collect and neutralize conductive metals, explosive or impact sensitive materials, or glowing media.